Despite a consensus about the main factors influencing economic mobility in Indonesia, such as labor-market opportunities and childhood circumstances, virtually nothing is known about how these factors increased economic standing in the colonial and postcolonial periods. The use of height data as a proxy for people’s economic situation, however, finds that whereas ethnicity was a strong predictor of economic status before Indonesia’s Independence, education assumed that role after 1946. MLA van Leeuwen, Bas, and Peter Földvári. “Economic Mobility in a Colonial and Postcolonial Economy: Indonesia.” Journal of Interdisciplinary History (2016). APA van Leeuwen, B., & Földvári, P. (2016). Economic Mobility in a Colonial and Postcolonial Economy: Indonesia. Journal of Interdisciplinary History. Chicago van Leeuwen, Bas, and Peter Földvári. “Economic Mobility in a Colonial and Postcolonial Economy: Indonesia.” Journal of Interdisciplinary History (2016). Harvard van Leeuwen, B. and Földvári, P., 2016. Economic Mobility in a Colonial and Postcolonial Economy: Indonesia. Journal of Interdisciplinary History. Vancouver van Leeuwen B, Földvári P. Economic Mobility in a Colonial and Postcolonial Economy: Indonesia. 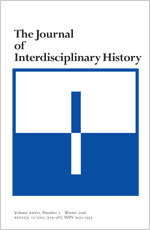 Journal of Interdisciplinary History. 2016 Jul 28. 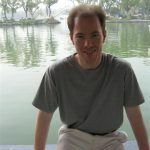 This entry was posted in Publications, publications.others, publications.others.published article and tagged Bas van Leeuwen publication, economic mobility, economy, Indonesia, Inequality, Netherlands Indies, Peter Foldvari publication, Poverty by HinDI. Bookmark the permalink.